Gareth Bale is the Welsh national team player who has achieved a lot in the Spanish soccer club Real Madrid. His contract was extended in 2016 to the end of the 2021-2022 season. According to the wide-spread Internet information, Bale earns £ 350 thousand weekly. According to El Confidencial, the winger’s sports career may take a turn soon, in summer 2018: rumors have it that the player is going to change Galácticos for another soccer team. Gareth Frank was born in the middle of summer 1989 in Cardiff, the capital of Wales. Since the early childhood, the boy took interest in soccer, stayed up late watching soccer matches, and made his father go to the park with him where the boy copied his favorite players’ feints. The boy was also fond of rugby and hockey yet kicking the ball about was Gareth’s priority. Besides, there was a soccer player among the relatives: the boy’s uncle Cristopher Pike used to be Fulham’s forward and recognized his nephew was the future star. 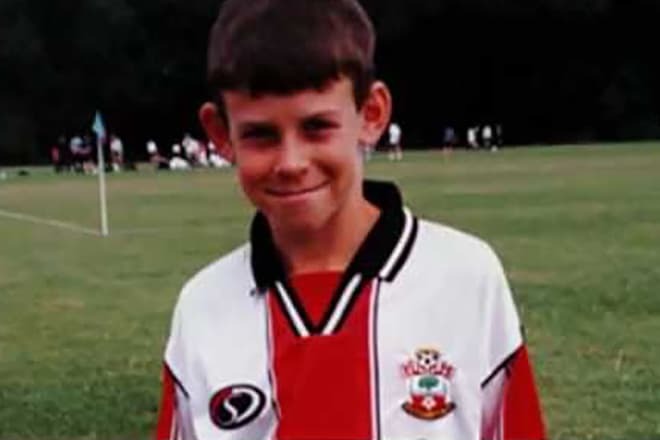 At 9, Bale entered the Southampton youth academy. The boy took part in the first official match for the club in 2006 and also debuted in the national team of his country. He became the youngest soccer player who had ever taken part in his national team’s game. Next year, the young talent transferred to the Tottenham Hotspur youth team for £10 million. However, an injury prevented him from demonstrating his abilities. The soccer player lost the position in the team and had no perspectives to play on the primary team. Bale won back the right to play in the field as the first eleven member only in 2010. The sportsman began to show good results in friendly games and the Premier League. On September 29, 2010, Bale scored his first goal to the gates of the Dutch club Twente in the Champions League. In January and February 2013, the soccer player was named the best player of the month in the English Premier League. In 2011 and 2013, Professional Footballers' Association (PFA) named Bale the player of the year in England. Apart from that, the sportsman got the PFA and Wales best young player awards. 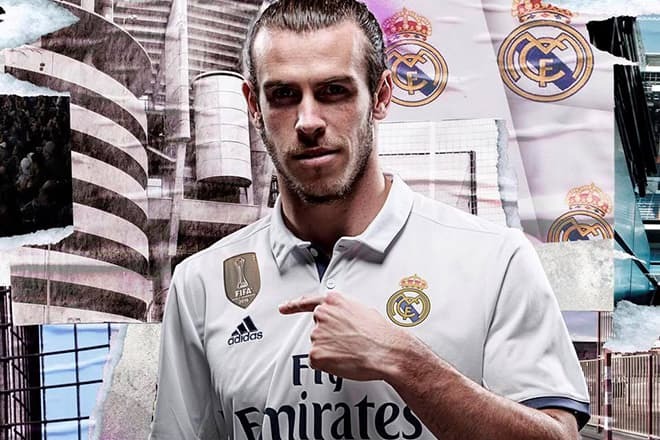 Real Madrid marked the sportsman’s playing, and Gareth signed a €100 million agreement with the Spanish club which made him the most expensive player in the history at that moment. With Bale, Cristiano Ronaldo, and Karim Benzema, the club managed to gain the victory in the Champions League. The Welsh sportsman contributed to Real Madrid triumph in Copa del Rey, UEFA Super Cup, and FIFA Club World Cup. The Welsh soccer player’s wife’s name is Emma Rhys-Jones. 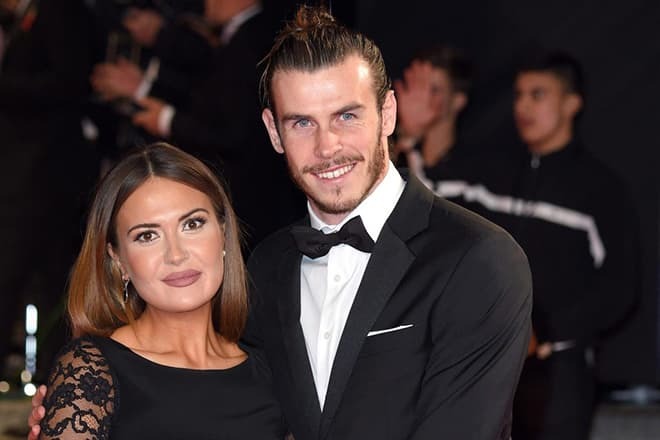 The young woman used to work as a hairdresser in Southampton while Gareth lived in Cardiff and rushed to see his loved one after training as soon as he had some spare time. Bale announced that Emma accepted his marriage proposal on his Instagram page. The couple has two daughters: Alba Violet (born in 2012) and Nava Valentina (born in 2016). Although soccer players are valued for their ability to play and bring good results, not handsome appearances, some defects worry people anyway. According to AIF, the Welsh sportsman is one of the few soccer players who had a plastic surgery, particularly, the otoplasty. Rumors have it that Gareth is going to follow Wayne Rooney’s example and have a hair transplant. It turned out that the Real winger’s funny haircut that he had after he moved to Spain was not a whim: he tried to mask his early hair loss. The soccer star loves golf. This love is so strong that Bale created a golf field at the backyard of his own house and the three holes were the copies of famous golf holes in Florida, Georgia, and neighboring Scotland. Since spring 2018, the media often report that Bale is going to stop playing for Real Madrid, and the end of his career is close. Sky Sports observers believe that the club may try to transfer the soccer player in summer. The sportsman’s numerous injuries are named among the possible grounds for such a decision. Although Gareth does not have a very delicate constitution (his height is 185 cm., and his weight is 74 kg. ), he is said to be “made of glass.” Many Internet users follow the statistics and claim that Bale missed 40 of 60 games of the team. In this context, the press often reproaches the soccer player for his earnings: £ 290 thousand per week. According to Chris Coleman, the former head coach of Welsh national team, Gareth can leave only for a team that is equal to the Spanish one. It is unlikely that Bale will return to Tottenham because the club pursues different goals and does not have enough money. The Bayern Munich option seems possible, but practical Germans do not pay large sums of money for a single player. 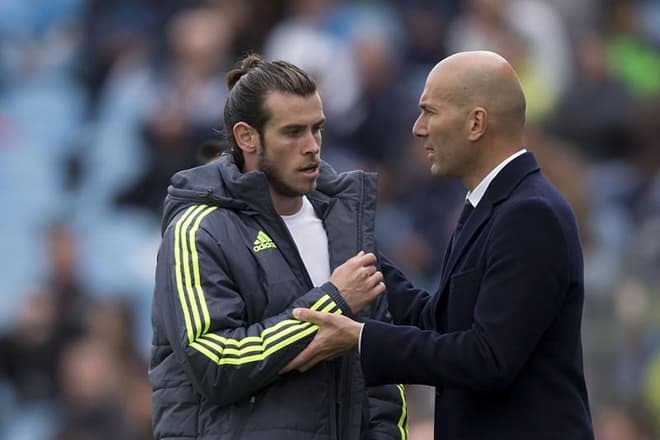 Thus, Bale may choose one of the top three teams of the English league. Manchester United former captain Rio Ferdinand believed the club should consider the Spanish team’s attacker and have a try to get the Welsh to the Red Devils. Although Gareth cannot appear on the soccer field every time, he is, undoubtedly, a talented player. 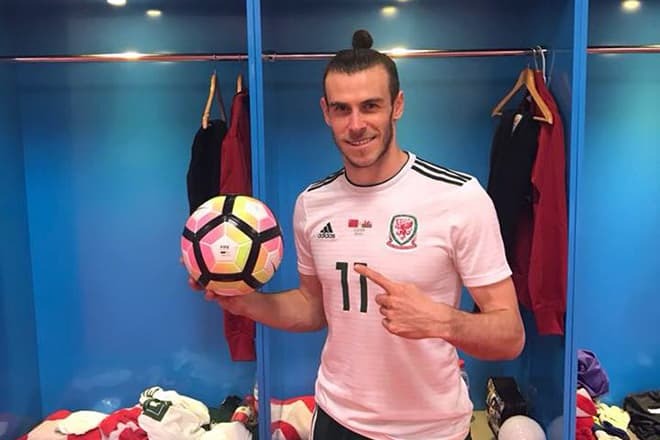 Confirming Ferdinand’s words, Bale became the best attacker in the history of Welsh national team. The forward managed to win this title to the hat trick he performed during the match with the Chinese team in the friendly game at China Cup. 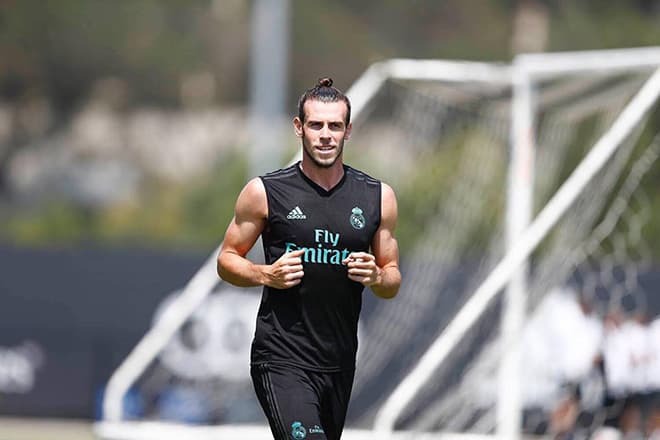 According to Daily Mail, the Chinese were ready to pay £1 million (€ 1,2 million) to their opponents on condition Gareth took part in the event; otherwise, the sum would be reduced by £100 thousand. Barnett says Gareth loves Real Madrid, and the club loves him back. Judging by the video where the team cracked a joke on Bale and Cristiano Ronaldo and made the stern Zinedine Zidane laugh, it was true. In 2017-2018, the forward had 21 games in La Liga and scored 11 goals. 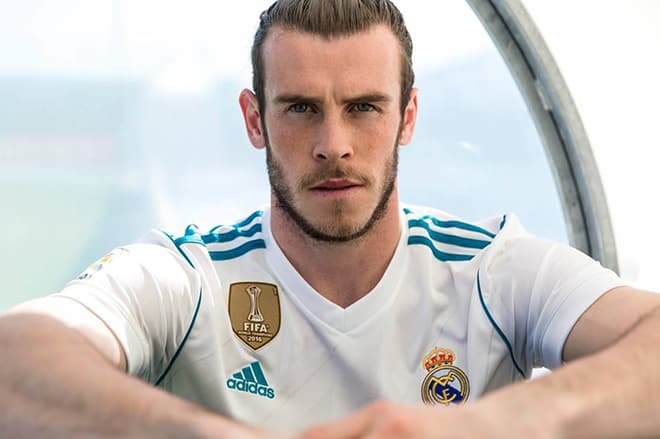 According to The Independent, the Italian club Inter Milan is showing interest in Gareth Bale who no longer attracts the Vikings, has tense relations with the head coach, and failed to learn Spanish. The awarded team who has never left the top division of its country is ready to pay the sum of money Real Madrid requests, yet the exact figures are unknown. As early as in 2011, the black and blue tried to buy the soccer player over Tottenham for £40 million. Now, the price has increased at least twofold.